On Thursday afternoon (11/04/10), rising welterweight star Mike Jones wrapped up his final preparations for his next fight, a big opportunity on the Nov. 13th Pay-Per-View undercard of the Manny Pacquiao - Antonio Margarito title bout at Cowboys Stadium in Dallas, Texas. The undefeated Jones (22-0 / 18 KO) will defend his NABA & NABO 147-pound belts, as well as vie for the WBC Continental Americas championship in his 10-rounder versus Jesus Soto-Karass (24-4-3 / 16 KO). Regional belts aside, what the highly ranked contender Jones will really be fighting for next Saturday night, is the chance to look good before a huge TV audience, not to mention the 60,000 - 70,000 stadium fans expected to attend the event live. 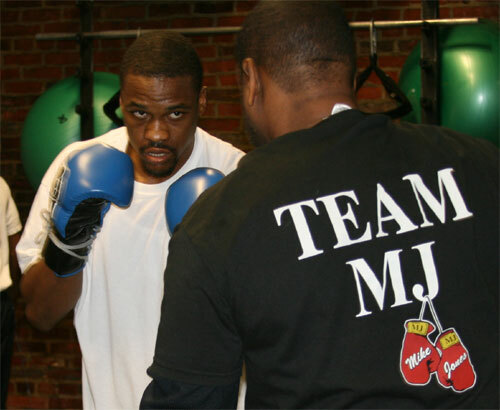 After almost five years in the professional ring, and a growing buzz around town about his chances to make it to the big time of boxing, Mike Jones finally gets his first real chance to show the world what he's got. Although this bout is not the title fight everyone is waiting for Jones to land, it is the gateway to that chance of a lifetime. If Jones can live up to the buzz, and look good against the experienced Soto-Karass, he will set himself up for a crack a one the world welter championships out there. A big win on the 13th, sets the stage for a bigger 2011. Soto-Karass has been described as a "poor man's Margarito", complete with an all-pressure style and no fear of getting dirty in the ring. So the Mexican tough guy could take Jones down a road he has not yet experienced in the sport. Fans are waiting to see MJ respond to hard pressure, a good punch, and wonder exactly how tough he can be in difficult situations. He's shown glimpses of ruggedness, but has not yet had to fight his way out of a real jam. Soto-Karass has the correct style, but will he be good enough to provide a real test for Jones? We'll watch along with the rest of the boxing world on November 13th. How exciting is that? Wrapping up his preparations for the big fight, Jones held an open workout yesterday at the Joe Hand Boxing Gym in Philadelphia. 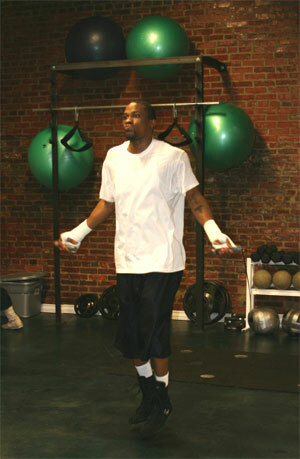 Jones looked loose and ready as he stretched, jumped rope, and punched the mitts with trainer Vaughn Jackson. The contender doesn't exactly have the gift of gab. He's more the strong silent type. So trying to gauge his readiness between the ears for this high-profile fight is a bit difficult. Jones is always calm and cool. It was no different yesterday, five days before his flight to Texas. "I'm excited", Jones dead-panned. "I definitely feel like I'm representing Philly in this one - especially at Cowboys Stadium." No talk of how important this fight is to him. No talk of a must-win. No looking ahead to a world title fight. He appears only to be worried about making the Eagles fans proud. "He never changes. He's always serious. 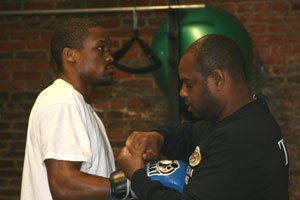 After the fight you see him smile, but he never gets nervous; he just always works", said co-manager Jim Williams. And Perhaps that's the way to go. Keep your head down, work hard, and leave the worrying and plotting of the future to your nervous fans, and excited inner circle. 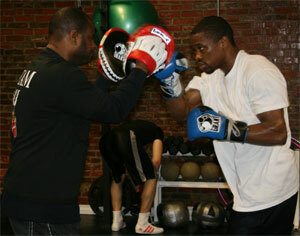 Jones sparred ten rounds Thursday with LaJuan Simon and Raymond Serrano to finish up his full work session. From here on out, it will be just warm ups, scale checks, and travel. Then a week from Saturday, is the next day of the rest of his career. Mike Jones vs. Jesus Soto-Karass can be seen on PPV, Saturday, November 13th at 9:00 PM, for $54.95. The bout will be broadcast live as either the first or second fight of the telecast.